Tom Foord is an unselfish community volunteer and an exceptional business leader who started Kal Tire in Vernon 46 years ago. His company, with over 1,500 employees, is the independent largest tire dealer in Canada. Starting with his purchase of a small garage that had gone bankrupt, Kal Tire expanded in the 1950s and 1960s to provide service to B.C.’s forestry and mining industries and has now grown from one tire store to more than 150 stores. Kal Tire recently opened a service facility in South America where it uses the experience gained in British Columbia to sell goods and services to the mining industry in Northern Chile. A resident of Vernon since 1945, he is recognized as an outstanding citizen of the community. He has served as honorary chair of the Vernon Hospice Society and is a long-time supporter of the United Way. Tom Foord helped The People Place Society buy land for the building which now serves as home to many North Okanagan community organizations which benefit from the long-term affordable work space. 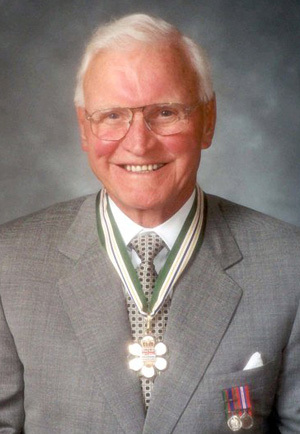 In 1989 he was acknowledged by the City of Vernon with its The Most Valuable People Award for his outstanding contribution to the community and in 1993 with its Corporate Good Citizen of the Year Award.